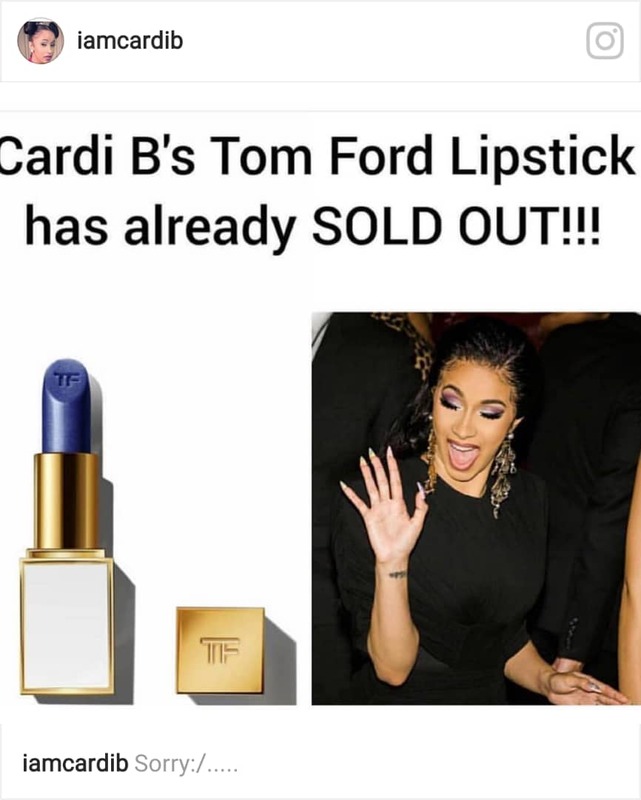 The Tomford beauty brand has announced the news on social media, that Cardi B now has her own lipstick color. The brand announced one of their latest shades, named after the rapper, on Instagram. The post included a picture of a blue-hued lip print. “Cardi” is a part of the Lips & Boys collection that the brand unveiled during New York Fashion Week, according to Elle.Reports have it that the lipstick is already sold out.